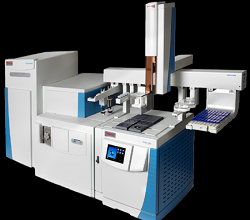 THE UNIVERSITY of Muenster, Germany, has the first installation of Thermo Scientific’s new Orbitrap-based GC-MS/MS (gas chromatography/mass spectrometry) instrument, said to provide the highest levels of detection and identification. The university’s Muenster Electrochemical Energy Technology (Meet) battery research centre focuses on research and development of electrochemical energy storage to create high energy density devices with longer durability. The new Thermo Scientific Q Exactive GC hybrid quadrupole-Orbitrap GC-MS/MS instrument is installed in the laboratory of Dr Sascha Nowak, head of division, analytics and environmental aspects, at Meet, where work concentrates on lithium-ion batteries. “Our research is primarily in the use of lithium-ion batteries for the automotive sector. “Our team had been analysing potential toxic compounds using GC, but had reached the limits of resolution and detection with our existing technology”, said Dr Nowak. “The Q Exactive GC system offers high resolving power and mass accuracy, with better limits of detection required to gain a quantitative measure of toxicity”. The increasing number of components in a lithium-ion battery makes it essential to use a variety of analytical methods to attain complete characterisation, including tests on aged cells. The focus is the analysis of the electrolyte – the identification and explanation of ageing phenomena caused by thermal and electrochemical factors. As lithium-ion battery electrolytes age, their effectiveness and performance decreases and they release decomposition products including organophosphates, which are a key indicator of battery performance as well as toxicity. To complete a quantitative toxicity assessment, a lab needs to accurately detect and differentiate between fluorinated and non-fluorinated phosphates, which are extremely small molecules of similar mass.